Pharmacy spending and premiums are projected to remain about the same in California. In 2017, California’s state health insurance exchange became the first to implement caps on what insurers could charge patients for a prescription medication, topping them at $250 per month, in an effort to protect the chronically ill from ever-increasing insurance cost sharing. 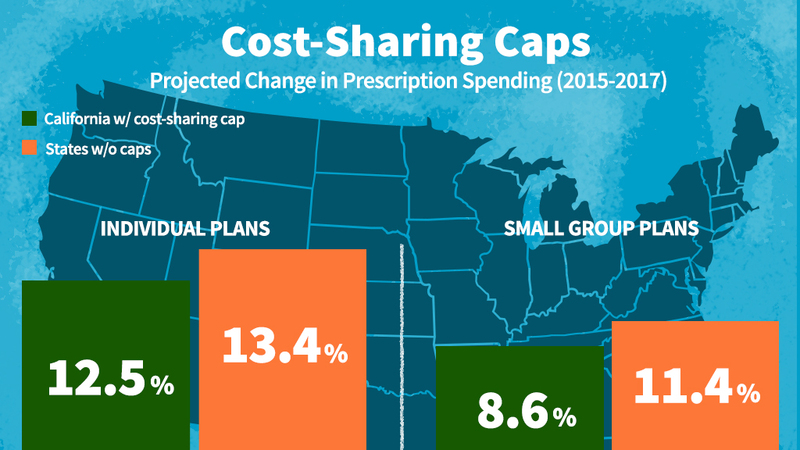 While some critics argued that caps would substantially increase pharmacy spending and premiums for everyone, several studies suggested otherwise. 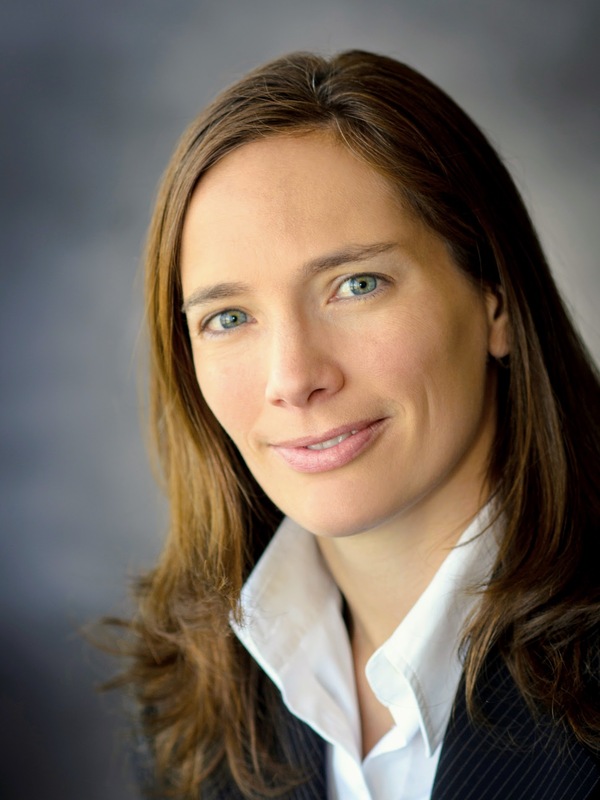 GABRIELA DIEGUEZ, A PRINCIPAL AND CONSULTING ACTUARY WITH MILLIMAN, DID NOT SEE CALIFORNIA INSURERS EXPECTING MUCH IMPACT ON SPENDING OR PREMIUMS FROM COST-SHARING CAPS. Now, California’s insurers have released their cost projections for 2017, the year that the cost-sharing caps went into effect. The data reveal that insurers did not project much, if any, change in spending or premiums due to the patient out-of-pocket caps, according to an analysis by the actuarial firm Milliman. Dieguez and colleagues compared the change in pharmacy spending projections from insurers in California to those in other states without caps. Not only did California insurers not project higher prescription spending increases between 2015 and 2017 than did other states, but their projections actually came in about 1 percent lower for people who buy their own insurance and 3 percent lower for those who get their insurance through a small employer. Some have worried that insurers might raise premiums substantially to guard against any losses from the caps. But this doesn’t seem to be the case, according to the Milliman analysis, which estimated that premiums increased by only about 1 percent for average members. That relatively small increase leads to significant savings when an innovative therapy for a chronic disease is needed. Dieguez and colleagues projected annual savings of $586 per family member for families that include someone with blood cancer and $683 per family member for those including someone with rheumatoid arthritis. The findings will help California and other states who have passed similar legislation understand the impact of their caps. Delaware, Louisiana, Maine, Maryland, Montana, New York and Vermont have all limited how much insurers can ask patients to pay for their prescription medications. “While several states have regulations that limit cost sharing for prescription medications, we chose California because its large insured population provided a credible basis for our analysis,” Dieguez said. If insurers thought that the sky was falling, we would have seen it in their projections. But they don’t seem to be anticipating spending to grow disproportionately. The analysis will also inform states who are looking to introduce such legislation, including Connecticut, Illinois, Kansas, Kentucky, Massachusetts, Michigan, Mississippi, Nevada, New Jersey, Ohio, Oregon, Pennsylvania and Washington. 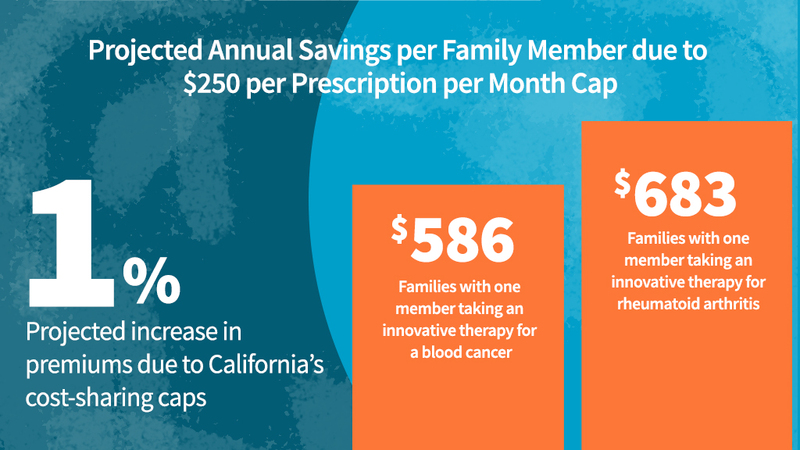 While these numbers are based on projections from insurers, the true impact of the caps on prescription spending and premiums will be revealed when California’s insurers release the final data for 2017 later this year.